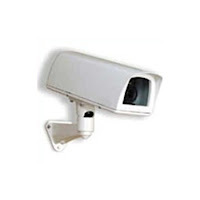 Key sections of Mangalore City Corporation will soon be brought under the ambit of closed circuit television (CCTV). The civic body at its monthly meeting held here on Tuesday approved an agenda to invite tenders from agencies concerned to install cameras and television at select points to keep an eye on functioning of the employees. This system, the agenda stated, is also needed from the security point of view. The idea for putting in place such a system was mooted by commissioner K N Vijay Prakash, and accordingly brought in the agenda for formal approval of the civic body at its monthly meeting. Vijay Prakash told TOI here that the system would cover key departments such as town planning, engineering, and health sections. "It is in these sections that the official public interface is at its highest," the commissioner observed. Noting that the number of cameras to be installed is yet to be decided, Vijay Prakash said what this system will basically ensure that the officials concerned are present at their work spot at the time specified to them. "The general complaint from people and the corporators is that the officials are not present in their seat or in their respective chambers and this will help me monitor their presence and whereabouts," he explained. The television, which will receive the feed from cameras, will be in the commissioner's office. Noting that as per the plan, the commissioner would be having sole access to the CCTV, Vijay Prakash said steps would be taken to provide the same even to the mayor, if the first citizen so desires. "I am yet to ask the mayor if this facility has to be provided in the mayor's office and a decision will be taken accordingly," he said. Interestingly, the commissioner at the meeting laid down the rule directing his officials to be available to the public at times specified for them, except in cases of unforeseeable exigencies. Accordingly, all officials will be available to the public and corporators on a daily basis from 3.30 pm up to 5.30 pm on all weekdays, and during the working hours on Saturday. Unauthorized absence from work place will be viewed seriously, he said.